The search for wisdom is one thing, and the search for sacredness is not quite the same. Wisdom is present and hidden in the perception of sacredness. The vision of sacredness is implicit in wisdom. And yet, these are two different things. It’s easier to talk about wisdom. If we have a direct experience of that which is divine, we may feel that saying anything about that, even if to ourselves only and in quiet thought, would be a way to lose the syntony with the sacred energy, and distort it. This is how real secrets are kept. They belong to their own levels of consciousness and cannot be transferred or translated to grosser dimensions of being. It would be the same as to decide to fry snow in a pan, or to have pure air closed in a small room with door and windows closed. There is a difference between directly seeing the sunrise and looking at a photo of the sun, taken as it was rising. Besides, the direct experience of sacredness is one thing, and the way it comes down to the seeker is another one. In the stairs between earth and sky, some energies go up, others go down. When the experience of sacredness comes to someone, it does so as an answer to the good karma accumulated by a correct search. It uses the energy created by the effort towards the highest, but it uses it in an unexpected and transcendent way. The feeling of sacredness emerges to the seeker as something both new and familiar. It is an intimate feeling. It occurs at the innermost and truest level of one’s self. The individual immediately realizes that the experience could never be explained to anyone else. At the same time, the sacred event brings about changes and potentialities which will flow in a natural way from the inner aspects of one’s soul. Living with sacredness gives us a sense of peace and strength. It makes us feel humble and happy to be small. Humbleness is inseparable from eternal wisdom and allows us to attain an unlimited perception of time. Our conscious contact with the infinite depends on a degree of renunciation. The lower self can independently perceive the sacred dimensions of life. However, for it to be attained it is necessary to transcend short term events and expand the view of soul evolution so as to see it as a process involving millions of years. 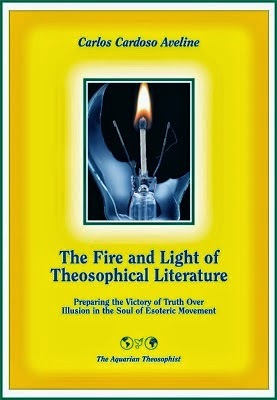 The study of the sky from the point of view of the theosophical teachings makes such an expansion possible. Infinity takes place in space, as well as in time. 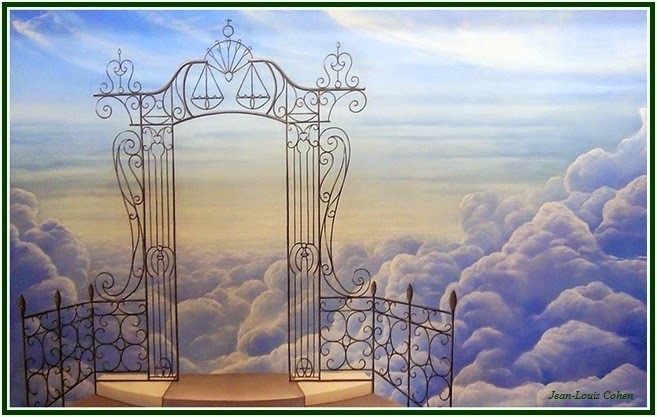 Theosophy prepares their students to an understanding of the eternal Law and enables them to leave illusion aside. Observing life as a creative dynamics of millions of years produces a sense of personal selflessness which makes voluntary simplicity possible. These two feelings often express themselves as devotion. Self-forgetfulness leads the pilgrim to a level of life-perception where unlimited freedom is found, and fear and anxiety tend to disappear. But there are still illusions to avoid. Once we have decided to live in the inner presence of sacredness, our naiveté may convince us that we have a right to a degree of comfort and stability around us. However, the very fact that someone is trying to live in the divine presence is more than enough to provoke a sort of “probationary fever” which accelerates not only his individual karma, but also his family karma, the karma of his marriage, of his personal relationships and various levels of collective karma in which he participates. Even the karma of a country is affected when a new spiritual light, however small, is turned on in its territory. For this reason the way to wisdom is described as uncomfortable. Any intensely comfortable path, if described as “spiritual” is false and consists of a trap. He who seeks for wisdom may be able to give a degree of peace to others, but it is not often that he has peace for himself except at inner levels. And this is enough, as long as the soul has the necessary experience. In every situation, personal expectations lead the pilgrim to defeat, and an impersonal fulfilment of his duty enables him to receive the blessings of inner victory. Those who seek for happiness solely in outward things are wrong. And so are those who seek for it in the inner world only. Sacredness and bliss can’t be found exclusively “within” or “outside”. The direct experience of the divine results from a specific form of interaction between “inner” and “outer” dimensions of life, in which the sense of separation between the two is eliminated by the strength of one’s spiritual will.